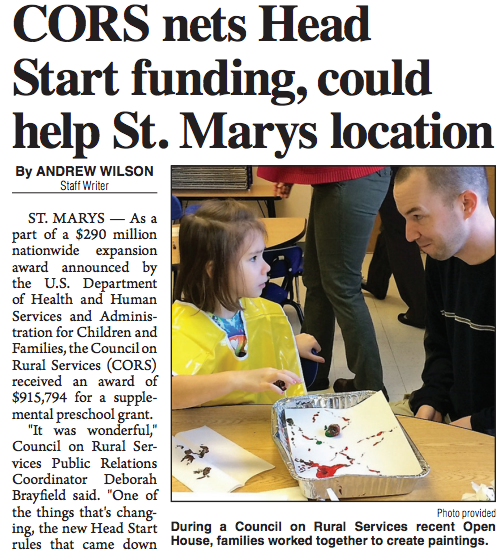 ST. MARYS — As a part of a $290 million nationwide expansion award announced by the U.S. Department of Health and Human Services and Administration for Children and Families, the Council on Rural Services (CORS) received an award of $915,794 for a supplemental preschool grant. 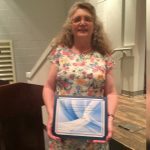 “It was wonderful,” Council on Rural Services Public Relations Coordinator Deborah Brayfield said. “One of the things that’s changing, the new Head Start rules that came down and performance standards, says that we have to move to having fullday centers instead of part-day centers and they have to be completed by 2021. This will put us on track for starting that movement to having fullday centers. This was our first step on that, of moving from part-day centers to full-day centers. 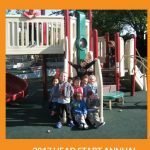 The funds were allocated by Congress as a down payment toward ensuring almost all preschool-age children in Head Start attend programs that operate full time, as announced in the new standards that must be fully met in 2021. “We wrote a grant and submitted it,” Brayfield said, “and we were waiting to hear back. The money that was allocated was all over the United States, and we were waiting to hear back if ours was approved. We heard back from the Head Start program department of health and human services.” The grant includes funds to increase staff by approximately 22 positions and startup funds to fully equip the three new classrooms. All these full-day classrooms will open in fall 2017. CORS, a non-proft social service agency, runs Early Start/Head Start programs in nine counties and runs youth programs — Gateway Youth Program and Achievement Center for Educational success — in two counties. Head Start, a federally funded preschool program for children ages three to five, gives children from low income families, families experiencing homelessness, families with foster children or families of children with disabilities the chance to come into the program and attend preschool free of charge. “It’s important for them,” Brayfield said. 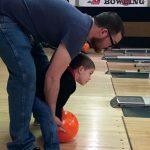 “There’s so much new research out that says early childhood is when children learn the most and the best and will get them more of that early childhood education while they’re still young before kindergarten.” Children used to attend preschool classes through the Head Start program at a facility in St. Marys, but the facility closed when funding changed. Currently, children in St. Marys who are enrolled in the program attend classes at the Wapakoneta facility. 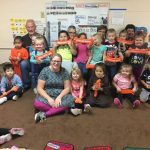 The Wapakoneta facility, a facility with four partday classrooms where preschool children come in the morning and afternoon in two different classrooms, is being changed into a full-day program. As a result, Auglaize County will now have two full-day centers in Wapakoneta and hopes to open two full-day centers in St. Marys. For the full-day schedule in Head Start programs, children will attend preschool for six hours instead of the 3.5 hours on the part-day schedule. Currently at the Wapakoneta location, there’s two morning classes children attend and two afternoon classes children attend for 3.5 hours. Finding a facility in St. Marys for children to attend preschool classes will not only enable CORS to serve more children, but it will shorten the bus ride for children, as they will no longer have to ride all the way to Wapakoneta. “Overall, we’ll able to serve more children because we’ll be serving the St. Marys children in St. Marys, which will make more room for children in Wapakoneta, where we’re busing them now,” Brayfield said. “The kids will be on the bus (for a) shorter length of time; it will be much better all the way around to have a neighborhood center versus going all the way to Wapakoneta.” For more information or to suggest a possible facility for the St. Marys location, contact Brayfield at 937- 778-5220.